Four people were displaced when a fire damaged their South Bay home Sunday morning, authorities said. 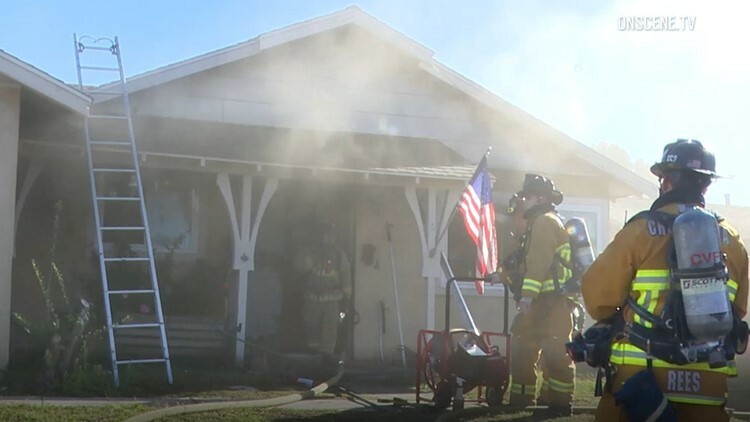 SAN DIEGO (CNS) - Four people were displaced when a fire damaged their South Bay home Sunday morning, authorities said. Dispatchers were alerted at about 9:20 a.m. to a blaze at a house near the intersection of Madden and Donax avenues, according to the San Diego Police Department. The area is just west of Beyer Boulevard. Firefighters found a small fire in the attic, and were able to get everyone out of the house and extinguish the flames, a San Diego Fire-Rescue Department official said. The Red Cross was called to assist with finding shelter for the home's occupants, the Fire-Rescue official said.